Two in the Mailbox, the (sometimes) weekly mailbag on the Sabres, goalie stuff, Buffalo and anything in between, is back. You can submit to the mailbag using #2ITBmailbag on Twitter or emailing 2intheboxbuffalo@gmail.com. At this rate the mailbag is going to be monthly rather than sometimes weekly. Either way, a lot has happened since the last iteration with Patrik Berglund’s contract termination being the most recent and the biggest headline. We discussed Berglund for the first half of this week’s podcast and the one thing that I think will be misconstrued with his contract being terminated is that the Sabres can or should exercise the option on any player they please. Kyle Okposo, Zach Bogosian, Marco Scandella are just a few of the guys I imagine fans are going to flood the mentions of writers with once Berglund’s termination is official. It was no secret that Jason Botterill was facing a tough road in putting together a well-rounded blueline when he took over the Sabres. Turns out that the unit needed more of an overhaul than reshaping that stretched into this past summer. Winning the Ramsus Dahlin lottery would make any rebuild a much easier task and a lucky bounce of the lottery balls has helped the Sabres take a major step forward. Lawrence Pilut has only played three games at the NHL level but his early returns have been impressive. He’s also the only defenseman Buffalo has on the active roster who is waiver exempt. We talk about the different options the Sabres have to keep Pilut in Buffalo without sacrificing another player to waivers. We also discuss the Sabres four-game slide and the positive signs from the stretch which may just signify they’ll be back in the win column soon. It’s only been about a month since I trotted out a mailbag, clearly I’m committed to the practice. In the month since the last incarnation the Sabres broke the .500 mark for the first time in years, they’ve looked competent for longer than a period at time and it looks as if they’ve reinvigorated the fanbase to an extent. The Sabres aren’t without their warts though. They’re still inconsistent and they’ve been over-reliant on the Jack Eichel, Jason Pominville, Jeff Skinner line. Although the line has been phenomenal. But the search for secondary scoring continues and if they manage to manufacture goals outside the trio of 53-9-29 they could really make some noise. With the NHL’s official entry into sports betting, the Sabres could wind up as a sneaky pick if they find some secondary scoring. The Sabres have shown their fair share of good traits early on this season but plenty of bad as well. Those bad traits were on full display in a clunker against Vegas and we hit on just what’s plagued the Sabres in their losses (and some of their wins) this season. We run through the hiccups they’ve experience on special teams while also touching on the bright spots on the roster. Other topics include a run through of some of the Amerks’ top performers and who from Rochester is likely to be the first recall this season. We’re a week away from the regular season which means it’s time to roll out the mailbag once again. This will be an abbreviated mailbag since there were limited responses (maybe I should take the hint) and because I had a handful of things I wanted to hit on in a quick hitter format which didn’t really make sense as its own post. 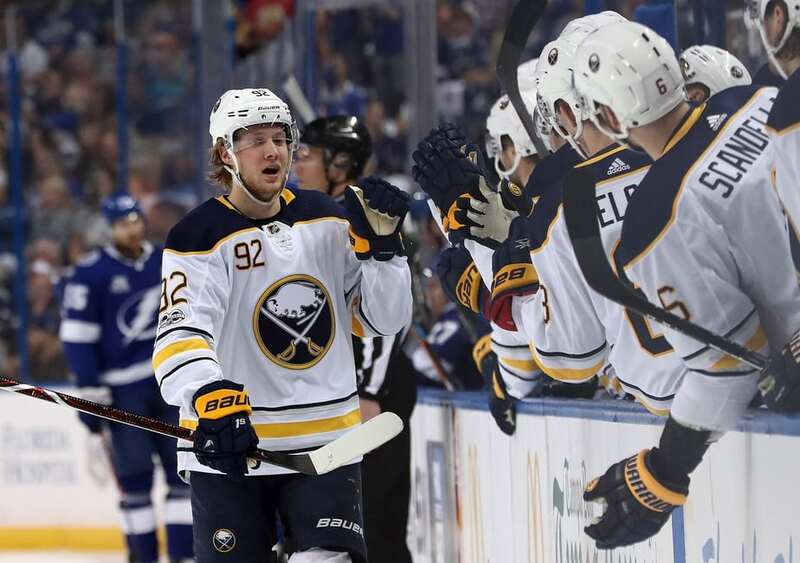 I mentioned how the Sabres finally appear to have some quality options to choose from when filling out the roster and it would appear that Tage Thompson and Alex Nylander are knocking on the door for a roster spot. Especially after Andrew Oglevie and CJ Smith were sent to Rochester. Justin Bailey, Nick Baptiste and Victor Olofsson remain in camp along with holdovers such as Johan Larsson, Zemgus Girgensons and Scott Wilson. Waiver eligibility seems to be at play here and will likely shape their final decision but Thompson and Nylander have been among the bigger standouts and offer the upside and offensive chops to help push the Sabres out of the basement. They both look to have an inside track to a roster spot even given their waiver exempt status. Some good news on Conor Sheary was counterbalanced by Zach Bogosian being pulled from Tuesday’s game and Phil Housley noting him as day-to-day. The severity of his injury isn’t known at this point but if he’s already banged up it doesn’t bode too well for his long term outlook for this season given his history. Matt Hunwick is already out longterm which puts the defense corps in an interesting spot. 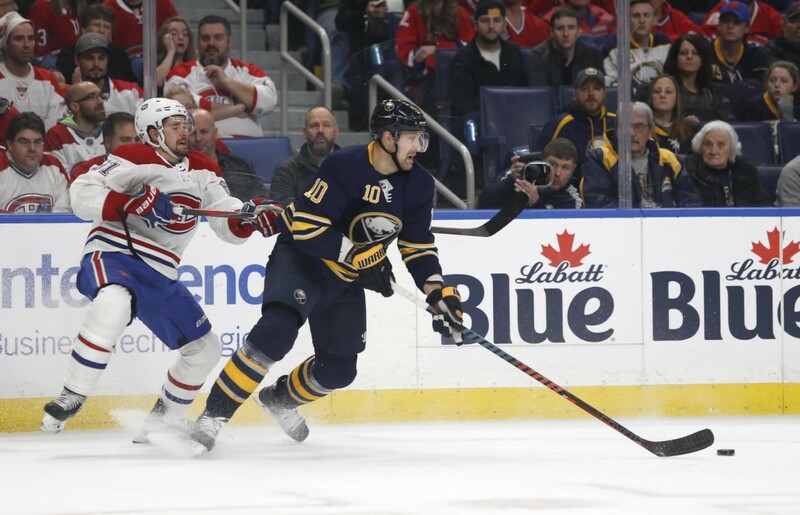 If healthy, the Sabres looked primed to carry eight defensemen and while these injuries don’t change much in that regard, their depth may be called on sooner than expected. Casey Nelson was already going to be challenging for playing time but there’s the potential that a debate over recalling Lawrence Pilut or Brendan Guhle could be here before we know it. And right now, Pilut is the more likely of the two to be called up. After a little time off we’re back with a slightly different approach to a Cup Final preview. Given that game one went down the day before we recorded, simply offering up a preview would be dirty pool. So instead we opted to discuss just how difficult this Vegas team is going to be to knock off. While Tyler isn’t as confident as I am that Vegas is fated to win this series, we revisited their roster construction and just what’s working for them as they steam towards a championship. We also hit on the recent signings by the Sabres and how Lawrence Pilut, Victor Olofsson and Rasmus Asplund will affect the team’s pipeline this coming year.